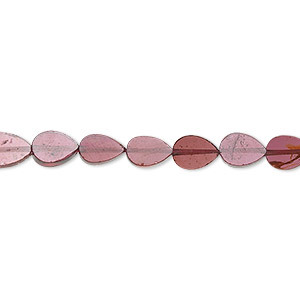 Bead, garnet (dyed), 8x5mm hand-cut double cone, B grade, Mohs hardness 7 to 7-1/2. Sold per 15" to 16" strand. Garnet (pronounced GAR-nit) is derived from the Latin word "granatum" (meaning "pomegranate") as a result of its deep, glossy color that resembles the seeds of a pomegranate. This gemstone can vary from transparent to opaque purplish red to deep burgundy red and contains little to no inclusions. Sizes, shapes and colors may vary with handcrafted items. 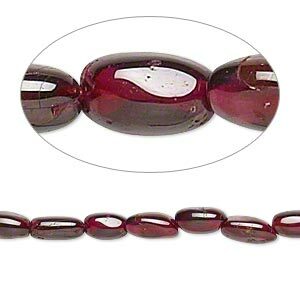 Bead, garnet (dyed), 4x4mm hand-cut irregular bicone, C grade, Mohs hardness 7 to 7-1/2. Sold per 15-1/2" to 16" strand. 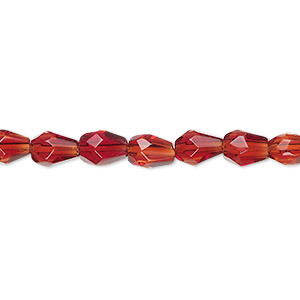 Bead, garnet (dyed), 6x5mm-10x7mm graduated hand-cut double cone, C grade, Mohs hardness 7 to 7-1/2. Sold per 16-inch strand. 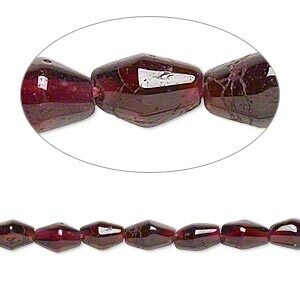 Bead, rhodolite garnet (natural), 2-3mm hand-cut bicone, B grade, Mohs hardness 7 to 7-1/2. Sold per 12-inch strand. 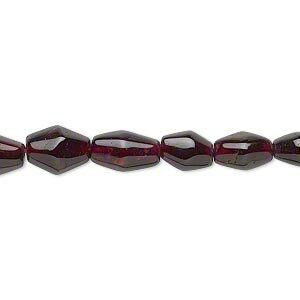 Bead, rhodolite garnet (natural), 3-4mm hand-cut faceted bicone, B grade, Mohs hardness 7 to 7-1/2. Sold per 7-inch strand. 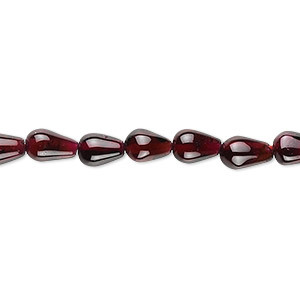 Bead, rhodolite garnet (natural), 3-5mm hand-cut uneven bicone, B grade, Mohs hardness 7 to 7-1/2. Sold per 12-inch strand. Bead, garnet (dyed), 8x5mm hand-cut faceted teardrop, B grade, Mohs hardness 7 to 7-1/2. Sold per 15-1/2" to 16" strand. Bead, garnet (dyed), 7x5mm-8x6mm hand-cut flat teardrop, B grade, Mohs hardness 7 to 7-1/2. Sold per 16-inch strand. Bead, garnet (dyed), 5x3mm-10x5mm hand-cut teardrop, B- grade, Mohs hardness 7 to 7-1/2. Sold per 15-1/2" to 16" strand.